“”Walk on By,” is an epic 12-minute moment of true perfection, its trademark string-laden intro just dripping with syrupy sentiment, and the thumping mid-tempo drum beat and accompanying bass line instilling a complementary sense of nasty funk to the song; if that isn’t enough to make it an amazing song, Hayes’ almost painful performance brings yet more feeling to the song, with the guitar’s heavy vibrato and the female background singers taking the song to even further heights. Hayes’ solo debut, Presenting Isaac Hayes, had been a poor seller for Stax Records, and Hayes was about to return to his behind-the-scenes role as a producer and songwriter at the venerable soul label when it suddenly lost its complete back catalog after splitting with Atlantic Records in May 1968. Stax executive Al Bell decided to release a new, almost instant, back catalog of 27 albums and 30 singles at once, ordered all of Stax’s artists to record new material, and encouraged some of Stax’s prominent creative staff, including Hayes and Steve Cropper, to record solo albums. 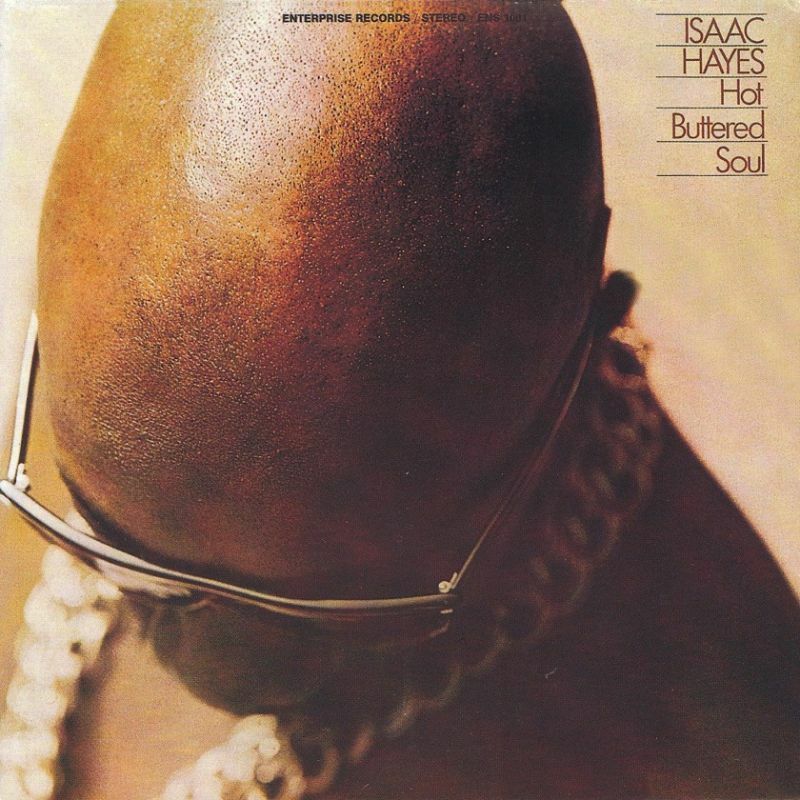 Burned by the retail flop of Presenting Isaac Hayes, Hayes told Bell that he would not cut a follow-up unless he was granted complete creative control. Since Bell had encouraged Hayes to record Presenting… in the first place, he agreed. Isaac Hayes really seized the opportunity and made one seminal soul album, an ambitiously excessive masterpiece!